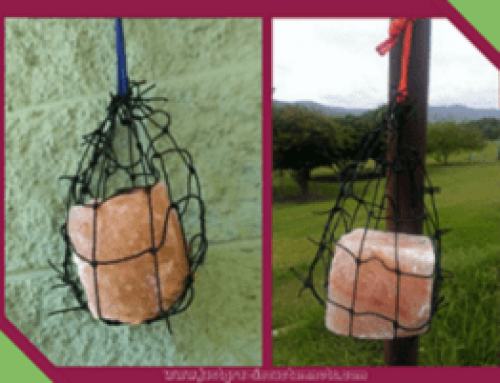 Home/Product Info/Why we use square mesh netting….. 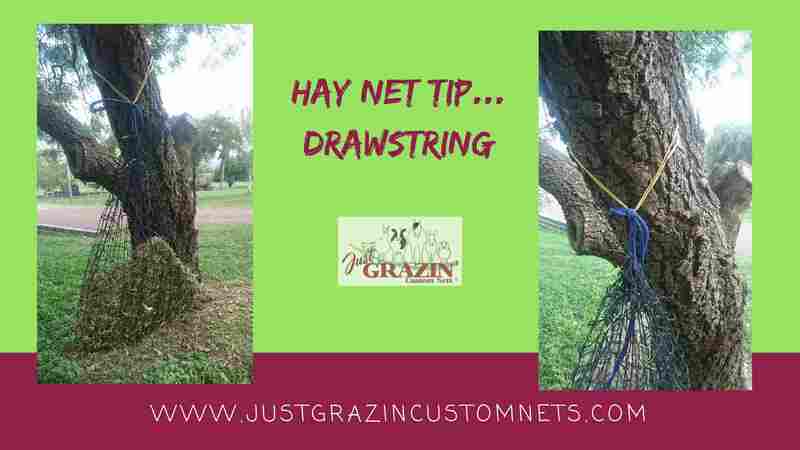 Slow Feed Hay Nets come in many styles and sizes. 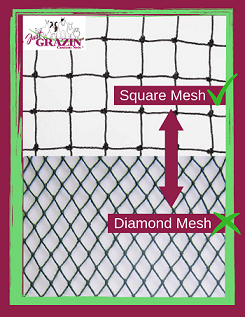 Just Grazin Custom Nets® are made using quality netting, with square holes. We specifically chose square holed netting as it maintains the hole shape. Whether the net is full of hay or empty, the hole stays the same size. In contrast as hay is eaten from diamond hole netting, the net will slowly close around the hay. This makes it more difficult for the horses to get hay from the net. Holes which may start out at 4 cm, can close down to a much smaller size. 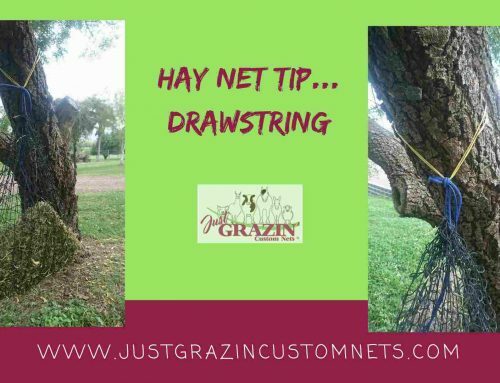 When this happens, horses may become frustrated and might not be able to get the rest of the hay from the net. 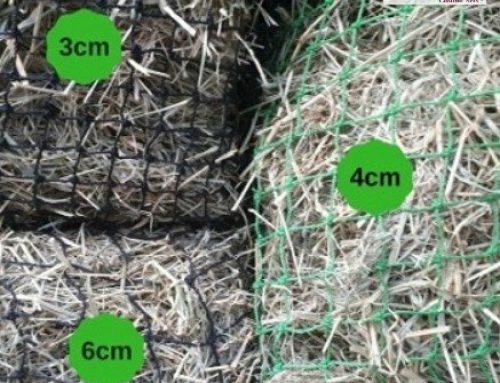 Choosing the right size netting for your horses and your situation is an important part in choosing your slow feed hay net. 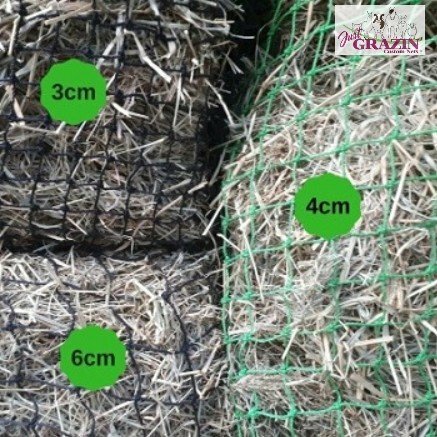 Therefore its important the netting continues to maintain that chosen hole size, irrespective of whether the net is full of hay or only has a small amount of hay left in it. 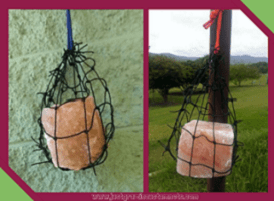 With square holed netting, that is exactly what happens.